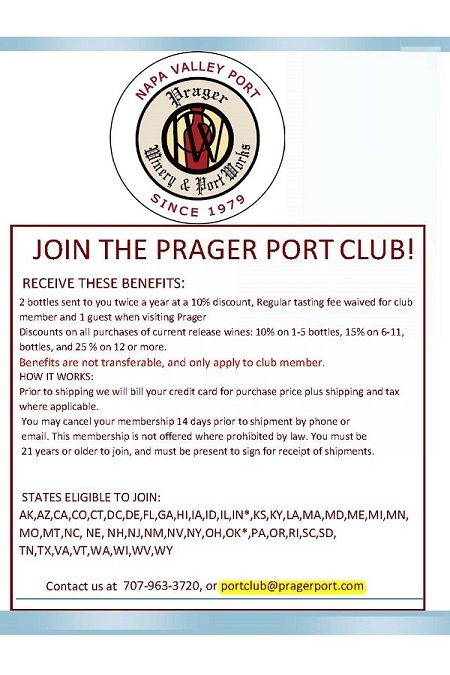 Join the Prager Port Club, and recieve 2 bottles of Port twice a year at a discount. 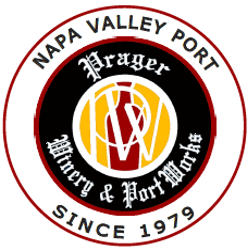 Our Shipments are in April and October, and we select your shipments from our premium Napa Ports. 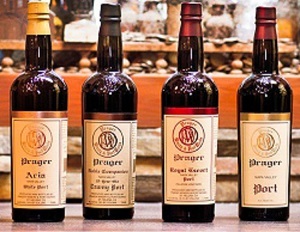 Members recieve discounts on all purchases, and complimentary tasting at the winery for the club member and 1 guest. You will also recieve invitations to special club events, like our annual Port Club Party.